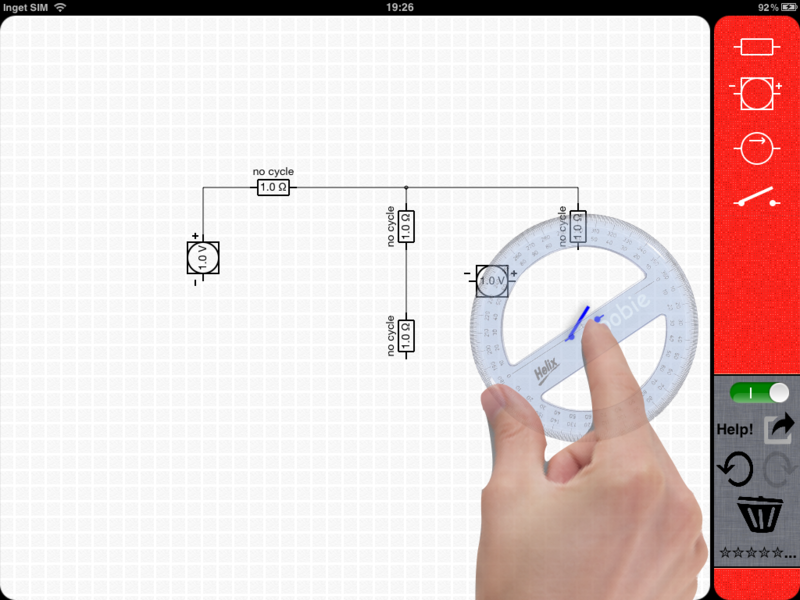 DC Sim is a direct current circuit simulator, or a didactic tool that lets you mature as an electrical engineer. Connect batteries, current generators, resistors, and on/off switches in an arbitrary electric circuit while the simulator is running! Make experiments to get experience, create your own homework. Fun for those of us who knows Kirchhoff's laws and electric circuit theory, Amp Volt Ohmega! Drag in the component from the orange side bar. Tap on the component. A wase basket becomes visible. Tap the waste basket. Connections are made using a bolts and nuts metaphore. Tap on the component. Bolts become visible. Drag a bolt and drop it over a nut (thus, the nuts indicate destinations, and they become visible as soon as you start dragging a bolt). 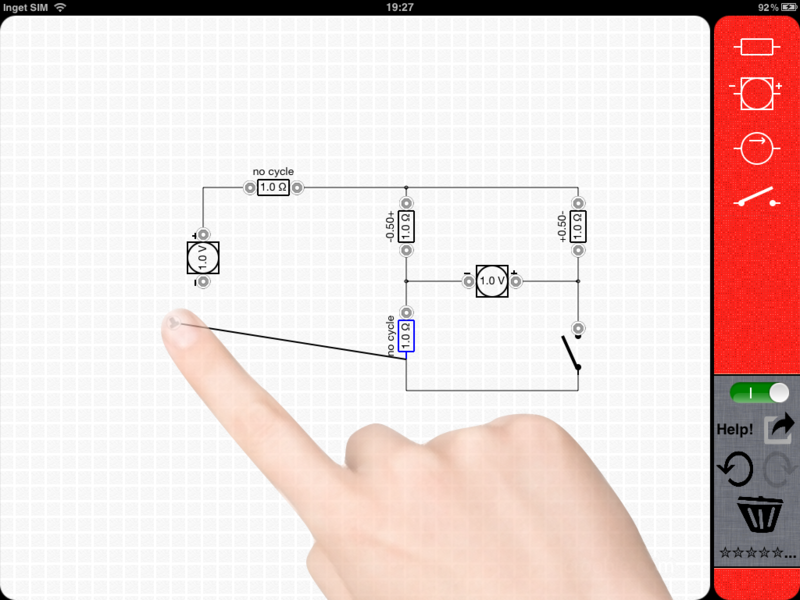 A picture of you circuit can be exported using e-mail.